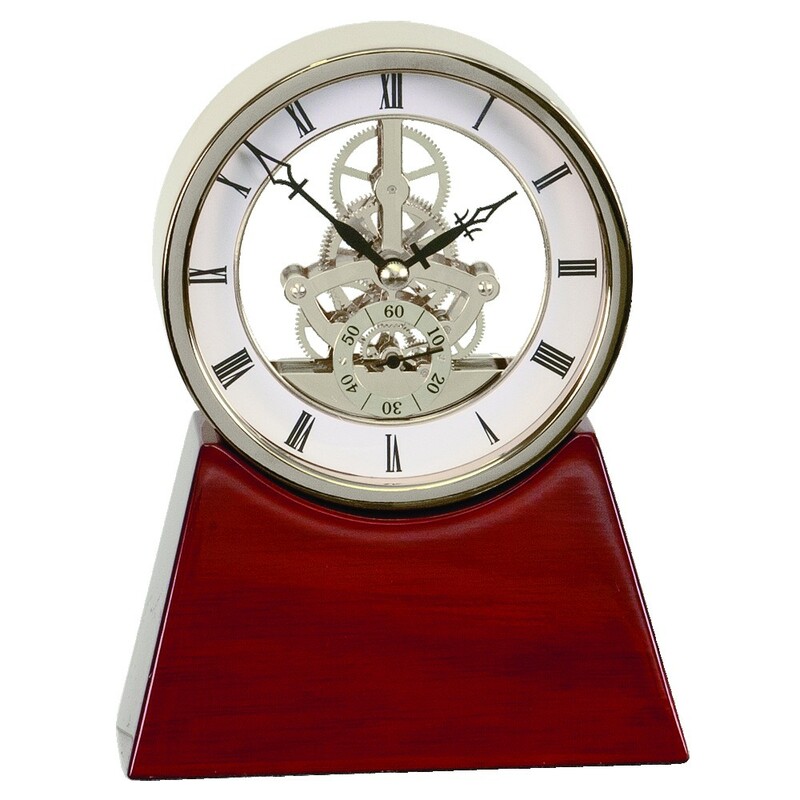 If you are looking for an impressive clock with a simple design, our Rosewood Base Executive Deck Clock is a wonderful option. Measuring 7 1/4" tall, this personalized award desk clock features a large 4 1/2" diameter skeleton clock in your choice of gold or silver polished metal. The clock face rests on a piano finish rosewood base, which includes your personalized engraving on a coordinating black plate. Includes AA battery and box for gift giving. Ordering More then 35 Click Here For Large Order Quote!